Some Good News and Some Victories for Animals in 2017! 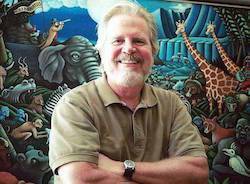 Photo of Tom Regan, Animal Rights Philosopher Extraordinaire (1938-2017). Learn more at TOM REGAN DIRECTORY. THANK YOU for every single thing you did to make a difference for animals in 2017! We know there are many more victories and many more good news items for animals in 2017 and we know there are LOTS of opinions of what "victory" or "good news" mean. If you have articles/stories to share, email us! China's Cruel Canidrome Greyhound Race Track To Close Its Doors! Wing Pointe Stops Holding Pigeon Shoots! Ireland bans wild animals in circuses! Italy has just banned animals in circuses! Labor Day Pigeon Shoot Cancelled Due to Lack of Shooters! Illinois Is First State To Ban Elephants in Entertainment! Is it Actually Possible to Go Vegan Overnight? AMA Comes Out Against Serving Processed Meats in Hositals! The last animal rights prisoner in the UK has been released from prison! Pigeon Shooter's Lawsuit against SHARK is Thrown Out! Maryland Pigeon Shoot SHUT DOWN! Announcing the 2017 Conscious Eating Conference Videos! Berkeley Becomes Second US City to Ban Fur! This Former Dairy Farm Has Gone All In on Plant-Based Milks! It's the Year of the Rooster in More Ways than One! Some Good News and Some Victories for Animals in 2016! Good Things Happening for Fish!